The MidDay Café scheduled for tomorrow, July 25 at Fifth and Penn Streets in downtown Reading has been canceled because of the potential for rain. The event will not be rescheduled. The Magpie Salute Will Jam Out July 18 in Downtown Reading! Our second free Downtown Alive concert on July 18 will feature The Magpie Salute. 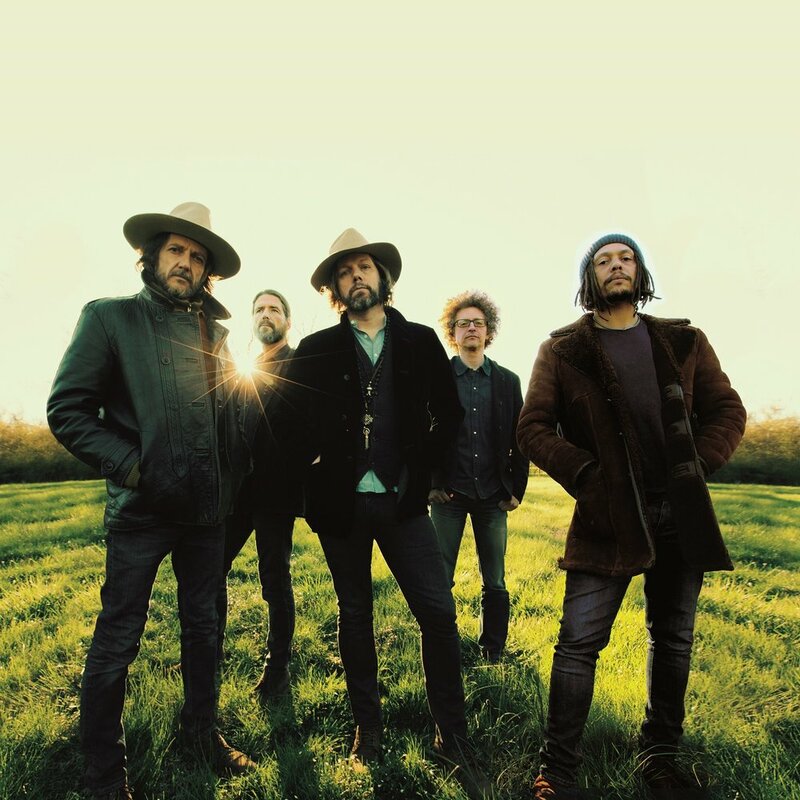 Band members include Rich Robinson, the guitarist and co-founding member of The Black Crowes, together with two other key Crowes members. The show, presented by Weidenhammer, will include opening act Flux Capacitor, a Reading-based rock jam trio. Read all about this fun-filled concert -- in the 500 block of Penn Street between 5 and 9 p.m. -- in our latest newsletter here. Ready! Set! Go Go Gadjet This Wednesday! Our free Downtown Alive outdoor concert series kicks off this Wednesday, June 20, with the ever-popular Go Go Gadjet! This is one block party you won't want to miss! Get all the info in our latest newsletter here. The MidDay Cafe scheduled for Wednesday, June 13 at the Berks County Services Center has been cancelled due to rain. We're sorry for any inconvenience. Our next MidDay Cafe is scheduled for Wednesday, June 27, at the State Office Building plaza between 6th and 7th Streets on Penn. Fun And Excitement On Tap This Summer In Downtown Reading! It's going to be a jam-packed summer of fun and excitement in downtown Reading! From the Reading Farmers Market to MidDay Cafes, First Fridays, and Downtown Alive free concerts, there will be something for everyone to enjoy. Read all about it in our May 23 newsletter. Go Go Gadjet Kicking Off Downtown Alive free concerts this summer! Go Go Gadjet, an immensely popular regional band that describes itself as “a burst of electric funk carried on the back of a thundering juggernaut of searing rock,” will open the fourth annual Downtown Alive free outdoor concert series on Wednesday, June 20. The series will include four other concerts featuring performers who will appeal to a variety of tastes. The shows will be staged again on Penn Street by the Reading Downtown Improvement District in partnership with Illusion Sound & Lighting, which is booking the acts, and Greater Reading Chamber Alliance. Find out more about the concert series in our May 7 newsletter. Our latest episode of "Downtown Alive" is now airing on BCTV! Check out the latest episode of our BCTV show, "Downtown Alive," featuring Jim Cinelli, President of Liberty Environmental Inc. at 505 Penn Street, and Berks History Center's tree of knowledge -- Rick Polityka! It's Just Good Business To Recycle! If you own a business in downtown Reading, did you know you can take advantage of the city's commercial recycling program? It could save you money versus trash disposal and of course it's better for the environment. Learn more about the program in our latest newsletter here. You can also get the inside scoop on the Forest Inn's 10-year anniversary! Check out our latest "Downtown Alive" show on BCTV! Host Laura Reppert discusses Reading Public Library's upcoming Cocktails and Classics 2018 event with Linda Capozello, Director of Advancement and Communications for the Library. And our "Hidden in Plain Sight" segment with Berks History Center delves into the checkered history of Reading gangster Tony Moran. Also featured is a chat with Sol Colon, one of our Ambassadors. See the show here. FYI -- Forward-Parking Only In Reading Parking Authority Garages! Our latest edition of "Destination: Downtown Reading!" has details about paying this year's commercial property assessments, as well as a rundown of services offered by the District in support of commercial property owners. Also included in this issue is an article and photos of our celebration of Valentine's Day, when we handed out free candy and stuffed animals to passersby at Fifth and Penn Streets. Check it all out here. The latest installment of our monthly BCTV show is now available for viewing. Laura Reppert, our Special Events Coordinator, interviews David Gross, the new Executive Director of the Reading Symphony Orchestra, and digs up some history on the Santander Performing Arts Center with the help of Rich Polityka from the Berks History Center. Check it out! An ice carver goes head-to-head with other competitors at Reading Fire + Ice Fest. Check out photo highlights of Reading Fire + Ice Fest in our latest newsletter! The festival was held on January 12 and 13 in downtown Reading and attracted thousands of people looking for a winter escape. If you were there and took some noteworthy photos, enter them in our photo contest for a chance to win a great Fire + Ice prize. Entry deadline is Friday, January 26. Find out more details right here. The 7th annual Cups of Compassion is coming to downtown Reading on Thursday, December 21. Read about this community-wide effort to assist the homeless in our latest newsletter. And check out a photo collage comprised of pictures from our annual holiday parade and official holiday tree lighting festivities. Plus, get a sneak peek at our annual winter extravaganza -- Reading Fire + Ice Fest! It's all available right here. Join Us For The Official Holiday Tree Lighting Ceremony on Friday, December 1! This doggone cute pooch showed up last year at the Holiday Tree lighting ceremony. Downtown Reading is abuzz with holiday activities! Coming up on Friday, December 1 is our official Holiday Tree lighting ceremony. There's a new twist this year, with numerous festivities being held. Activities will kick off at 4 p.m. with free live entertainment from various local community groups. Fresh-cut Christmas trees will be available for sale, both with and without stands. The trees will be provided by Lenhart's Farm, a local tree farm. There will also be a variety of foods and refreshments for sale. A craft table will be set up for attendees to make holiday door decorations for a nominal fee. Plus, people are encouraged to participate in a free holiday ornament exchange by bringing their old ornaments to trade in for "new" ones. All of these activities will be in the vicinity of Fifth and Penn Streets. At 6 p.m., our Executive Director Charles "Chuck" Broad will join Reading Mayor Wally Scott in presenting holiday greetings, followed by the official lighting of the nearly 40-foot tree at Fifth and Penn. As part of the festivities, children are invited to meet Santa at Santa's Wonderland in the former bank building at Fifth and Penn Streets. The interior of the main bank lobby has been transformed into a magical place for kids young and old alike. Thursday, November 23rd @ 12:00 p.m.
Friday, November 24th @ 11:00 a.m.
Sunday, November 26th @ 11:00 p.m.
Monday, November 27th @ 2:00 p.m.
Wednesday, November 29th @ 4:00 p.m.
Sunday, December 3rd @ 9:00 p.m.
Thursday, December 14th @ 7:00 a.m.
Tuesday, December 19th @ 9:00 p.m.
Saturday, December 23rd @ 11:00 p.m.
Monday, December 25th @ 2:00 p.m.
Thursday, November 23rd @ 9:00 a.m., 3:00 p.m., 9:00 p.m.
Friday, November 24th @ 9:00 a.m., 6:00 p.m.
Saturday, November 25th @ 4:00 p.m.
Tuesday, November 28th @ 12:00 p.m.
Saturday, December 2nd @ 7:00 p.m.
Saturday, December 9th @ 7:00 p.m.
Saturday, December 16th @ 7:00 p.m.
Saturday, December 23rd @ 7:00 p.m.
Monday, December 25th @ 10:00 a.m.
Dr. Anna Weitz Will Lead This Year's Reading Holiday Parade! Dr. Anna Weitz, President of Reading Area Community College (RACC), has been chosen to lead the annual Reading Holiday Parade in downtown Reading on Saturday, November 18. Dr. Weitz, who is retiring in June of 2018, was selected as this year’s Grand Marshal to celebrate her long-standing commitment to the Berks County community. You can read more about Dr. Weitz and the Parade in the latest edition of our newsletter right here. Also in this edition are highlights of our annual Scarecrow Contest as well as photos from Pumpkin Palooza at the GoggleWorks Center for the Arts, which was held in mid-October. Congratulations to our Scarecrow Contest winners! A special thanks to this year's judges - Levi Landis, Executive Director of GoggleWorks Center for the Arts; a class of pre-school students at the YMCA of Reading; and Christian Vazquez, a sixth-grade student at Southern Middle School. And thanks to the other businesses and organizations that submitted entries: Abilities in Motion; Children's Home of Reading; DoubleTree by Hilton Hotel; Liberty Environmental; Olivet Boys & Girls Club; Prospectus Berco; Reading Recreation at 11th and Pike and Third and Spruce; and Reading Public Library. The scarecrows are still up, some come down to the 400 and 500 blocks of Penn Street to check them out! 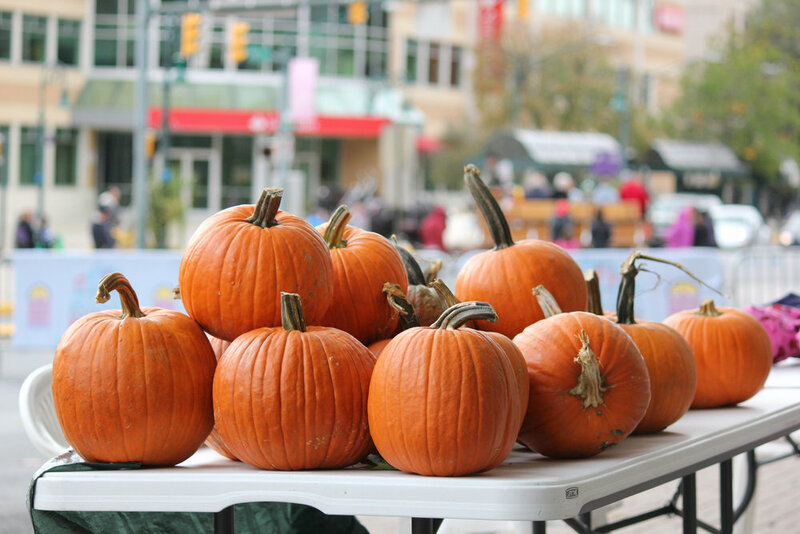 Our latest newsletter features Pumpkin Palooza and Harvest Fest! Check out our latest newsletter to find out about Pumpkin Palooza, a family-fun event at GoggleWorks Center for the Arts on Saturday, October 14 from noon to 4 p.m. And read about Harvest Fest, a celebration of the end of Penn Street Market on Friday, October 13 from 5 to 9 p.m. at Oakbrook Brewing Company. All this and more right here!